Today I turned 10! 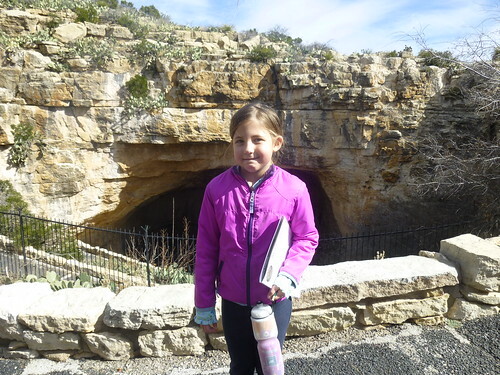 We drove down to Carlsbad Caverns National Park NM. 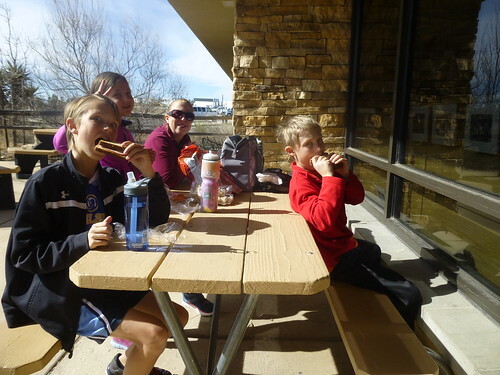 We arrived at about 11:15 we decided to eat lunch right then because we can’t eat in the caverns and sadly, the elevators were out of service. 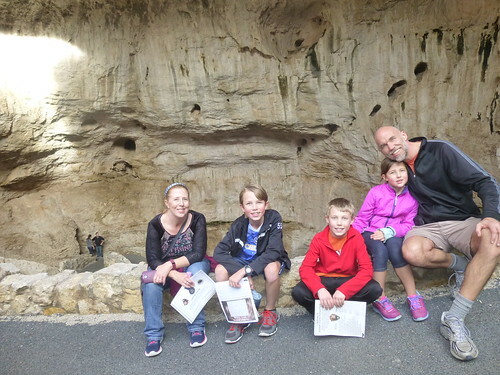 We headed into the cave at about 12:30 due to lunch, visitor center, and bathroom breaks. 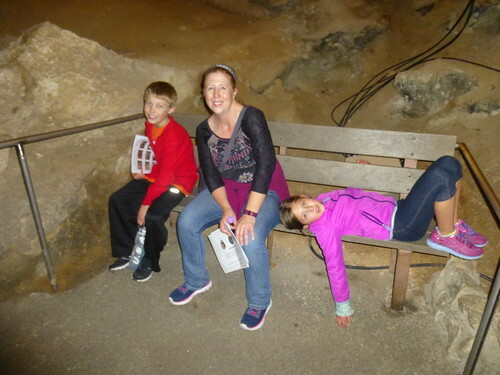 When we headed into the caverns we had to go down a twisted path deeper, deeper, deeper, and even deeper. It got darker, darker, darker, and even darker. Finally, we had descended all the way to the twilight zone. 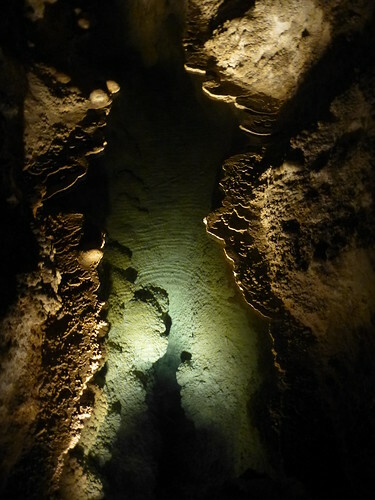 The twilight zone is where many small animals like raccoons, mice, rats, snakes venture and where miners would mine guano (bat poop) in the 19th century to the early 20th century. 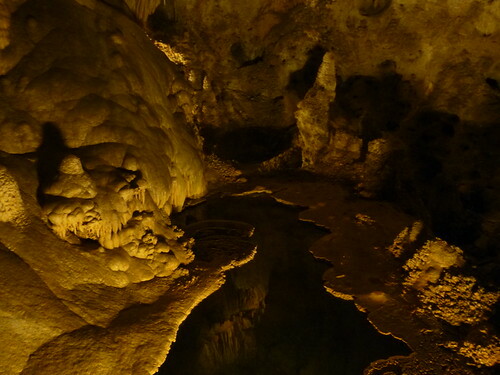 In the early 20th century a guano miner named Jim White wanted to explore deeper into the cave. All of his mining friends thought he was crazy. But this was the dream of his lifetime. Imagine being Jim White in the early 20th century and having to carry a lantern in one hand and digging deeper and deeper into the cavern with the other. Also there weren’t any paths or railings. 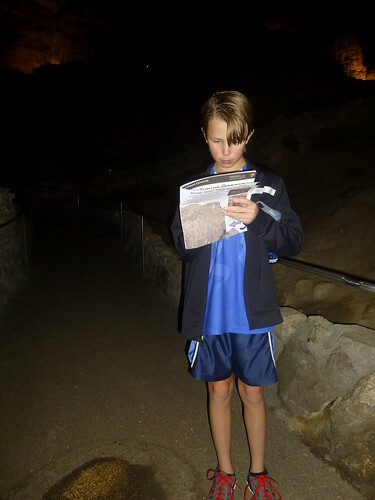 But in 6 months by himself he explored all of Carlsbad Caverns. 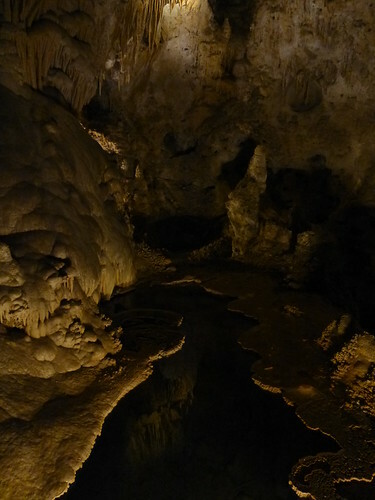 Walking the 3.75 miles of Carlsbad Caverns and seeing cool formations in every direction is awesome. 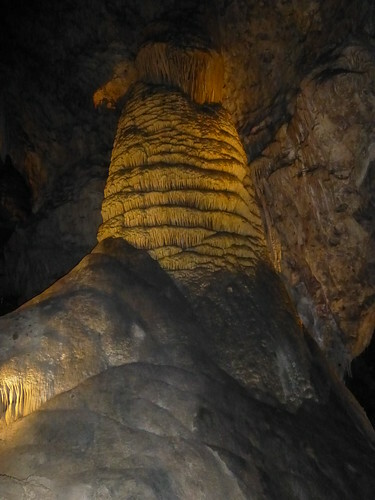 But it wasn’t easy for the formations to get there. When it rains the rain water slowly, slowly seeps through dirt, rocks, and gasses and pick up minerals like iron oxide, sulfur, and calcite. 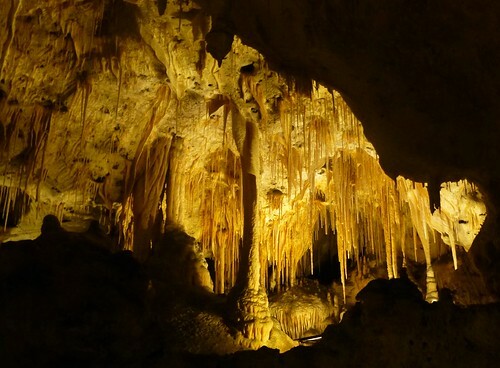 Then, the combination of the rainwater and minerals drips and turns into a colorful, rock icicle which is called a stalactite. 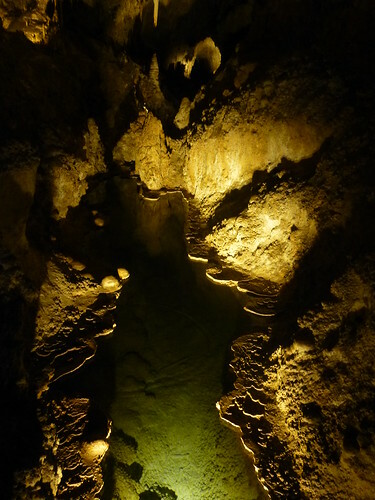 When the combination of the rainwater and chemicals finally drip off of the stalactite they drip on to the ground they form a stalagmite. Sometimes the gasses make a bubble like a balloon and it is called popcorn. A soda straw is formed when the chemicals mixed with rainwater drips down and forms on the outside making it hollow. 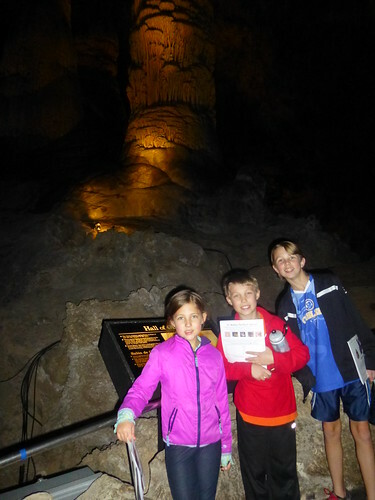 A column is when a stalactite and a stalagmite unite. A drapery or bacon is created when the solution of chemicals and rainwater drip down the wall. 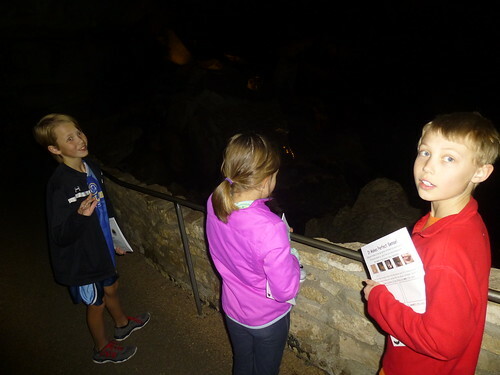 After walking through the amazing caverns we were going to do “ask a ranger” on the Jr. Ranger program. One interesting thing I learned was bats actually eat moths not mosquitoes. Also, I learned that the real owner is Bill Gates. Just Kidding! Everybody owns all of the National Parks. Probably the coolest fact I learned was bats can see just as good as humans but they use echolocation at night because it’s darker and harder to see. Also, using echolocation it’s harder to catch the sound because it’s going the speed of sound and that’s why bats have big ears. 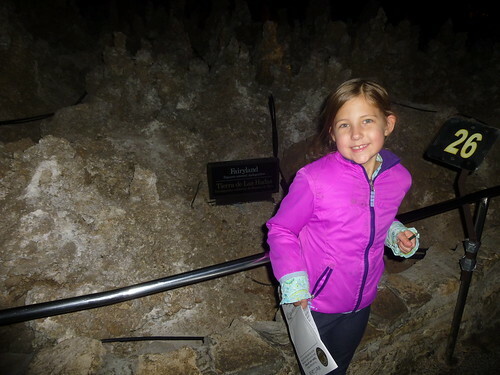 With echolocation bats can figure out the size, shape, density, distance, and type of animal the sound bounced off like paleontologists can see what a prehistoric animal eats, the size, weight, what it looks like, and much more. 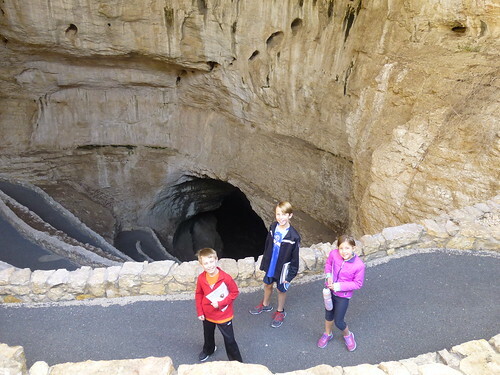 I hope you learned a little something about caverns! Well done Dacen! Happy birthday! Sounds like you had an awesome birthday and I have to be honest, I’m jealous. 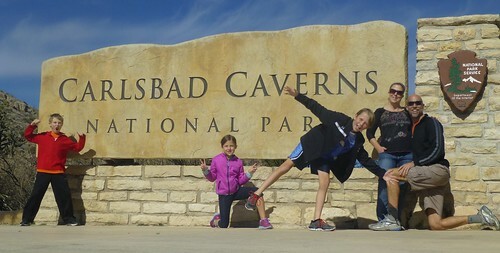 On one caving trip to Carlsbad our guide tallked about being “bit by the cave bug”. Meaning you appreciate and real enjoy caves. Sounds like you got a nibble for your birthday. Happy Birthday Dacen! Sounds really fun!